Like working outdoors and being out on the water? A job as a Mariner could be ideal. You’ll serve on Army ships or boats, navigating and maintaining your vessel. 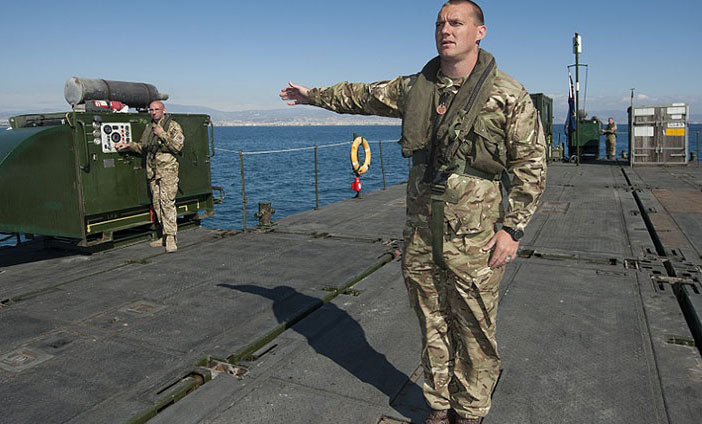 You take the helm, use on-board equipment and work worldwide, often supporting Commando and Special Forces. Once you’re experienced, you could command your own crew. You start by learning all about your role and being a soldier. Then you go to Southampton, where you transport troops and supplies. You take maritime qualifications and learn about communication and teamwork. Activities and good mates bring fun and challenges off-duty. Be employed throughout the Army, from working with combat units to warehousing. Work worldwide delivering a bespoke capability, often in support of Commando and Special Forces. Operate from the military port at Marchwood (Southampton). Work outdoors and on the water. Learn good communication and teamwork skills. Then you take Seamanship training at the Defence School of Logistics at Marchwood near Southampton. Over 20 weeks, you learn to carry out seamanship duties as a deckhand on board an Army Work Boat, Mexeflote and Combat Support Boat. You start with basic training and learn to be a soldier. Then you take the Mariner course which lasts 2 weeks at the Defence School of Logistics near Southampton. You learn about seamanship as a deckhand on board MEXEFLOTE and Combat Support Boats. You will need to complete the record of work place training too. We do our best to make sure all Army Reserve training fits around your day job.